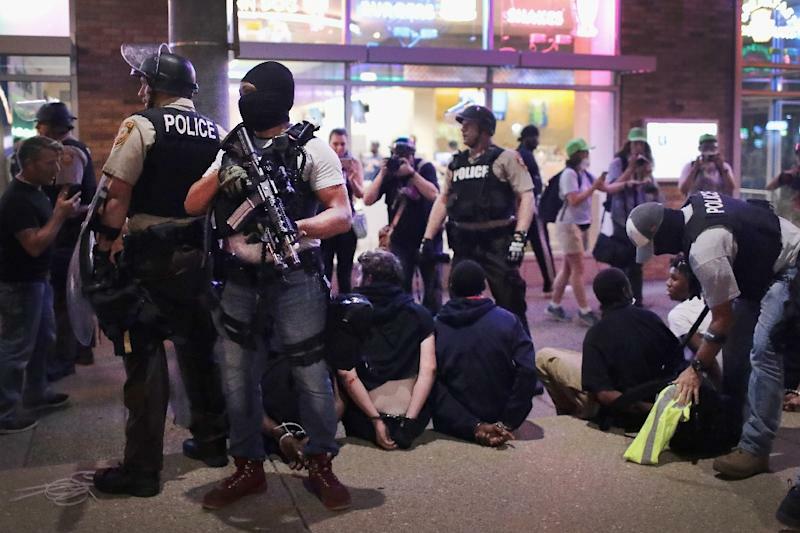 Washington (AFP) - Police officers shot and killed nearly 1,000 people in the United States in 2017, slightly more than the previous year, according to a tally published on Monday by The Washington Post. A total of 987 people were fatally shot by US police last year, up from 963 in 2016 and down from 995 in 2015, the Post said. The newspaper has been logging details of shootings by police in the United States since 2015, tracking local news reports, public records and social media. The use of deadly force by US police has attracted increased attention in recent years, highlighted by the high-profile slayings of a number of unarmed black men. Nineteen unarmed African-American men were killed by US police in 2017, up from 17 in 2016 but down from 36 in 2015, according to the Post. Black males nevertheless continue to be shot at disproportionately high rates, the newspaper said. Black men, both armed and unarmed, accounted for 22 percent of all people shot and killed by US police last year but make up just six percent of the total US population. Overall, police shot and killed 68 unarmed people in 2017, up from 51 in 2016 but down from 94 in 2015. "The national spotlight on this issue has made officers more cautious in unarmed situations," Chuck Wexler, the executive director of the Police Executive Research Forum, told the newspaper. According to the Post database, 735 of the people shot and killed by police last year were armed with knives or guns, up from 693 in 2016. Forty-six police officers were killed in the line of duty in the United States in 2017, down from 66 the previous year, according to FBI figures. Deadly shootings by police in the United States are far more prevalent than in other developed countries. According to the British group Inquest, police fatally shot four people in the United Kingdom in 2016. Thirteen people were killed by police bullets in Germany in 2016, according to a study by Berlin's Tageszeitung newspaper.